Mark Shenton’s list of six potential successors for the Young Vic theatre is dated, lazy and is a prime example of how the industry contributes to the invisibility of culturally diverse leaders. In the same week that Nadia Fall was announced as the new artistic director of Theatre Royal Stratford East, Shenton’s list of only six potential successors for the artistic director’s position at the Young Vic was published by The Stage. He slips into the default position of the white, male bias. This comes at a time when the industry is actively seeking to redress the balance away from the predominance of white males, to truly reflect the multicultural society that we live in. This new agenda is supported by Arts Council England, as well as other funding bodies and like-minded, forward-thinking institutions. They recognise the ramifications of the lack of diversity not only for culturally diverse practitioners and diverse communities, but for the cultural sector as a whole. The Young Vic prides itself on internationalism with diversity at the heart of its programming, with a large pool of its work written by diverse writers and therefore. So one has to ask if Shenton’s list is blatant sabotage or another careless yet costly act of ignorance. As the founder and managing director of Artistic Directors of the Future: a membership organisation of more than 300 culturally diverse practitioners, it’s completely baffling to me how such a list can be printed in 2017, when there are exemplary, culturally diverse leaders such as Kwame Kwei-Armah, Madani Younis, Kully Thiarai and Indhu Rubasingham running mainstream institutions. But I guess a non-white leader would be considered a ‘risky choice’, a further step away from the wildcard category. When do we stop being a risk? Apologies, I got carried away too soon, Let me start again in the same vain as Shenton and list names that are directly associated with the Young Vic. Shenton includes Carrie Cracknell on his list but overlooks Natalie Abrahami, Cracknell’s former co-artistic director at the Gate, who is also a former Young Vic associate director and recipient of that venue’s Genesis Fellowship, which nurtures young directing talent. And what about Matthew Xia, also a Genesis fellow and director of the Young Vic production of Blue/Orange? Then there’s Bijan Sheibani, director of The Brothers Size and Eurydice, and current Young Vic fellow Gbolahan Obisesan. 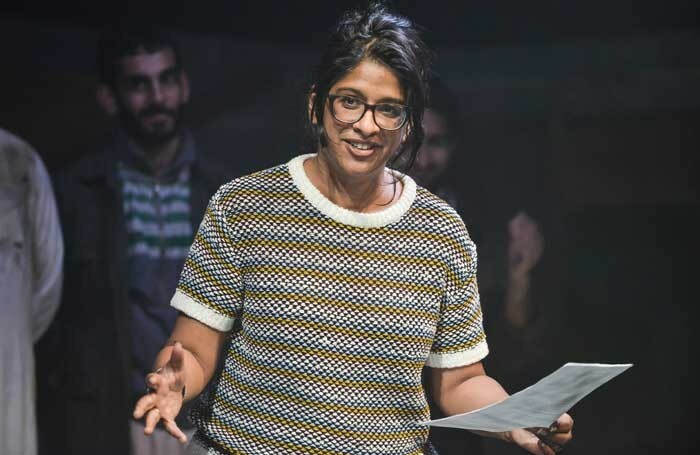 Admittedly, the Young Vic has not been great at opening its stages to a large pool of culturally diverse directors, especially culturally diverse female directors – but can we at least acknowledge those that have? I will go one step further to suggest an even scarier proposition to include abled and disabled practitioners who do not have any affiliation with the Young Vic. Now, this list is long and I am bound to leave a lot of people off it, so I will simply encourage you to consider those who are running companies, producing and directing exciting work in theatres and leading on international festivals. Finally, let’s not forget that not all artistic directors are directors. It could be argued that David Lan is more of a writer than a director, and we don’t have to look too far to identify other examples of artistic leaders who fall under the heading of producers or dramaturgs, and so on. It may come as a surprise to you, but I hesitated to write this response. Not because I feared the backlash but because I did not want to feel obligated to write a list as a way of bargaining or pleading for acknowledgement. So please know that this is not a list, it is a response; a provocation to an ongoing problem about visibility and employability. As I read Shenton’s list, I couldn’t help thinking about the 300-plus ADF members, who have waited for almost two decades for the chance to sit in the artistic directors’ chair at the Young Vic and have no doubt read The Stage to yet again see no representation of themselves. I think about the subliminal messages that dictates what a leader looks like. I think about the media’s influence on the recruitment process for senior management positions. I think about the impact this will have on the board members who are responsible for hiring the new artistic director of the Young Vic – how confident will they be to investigate or consider those that do not appear on the list? This list suggests very clearly that diverse practitioners are never the ‘safe pair of hands’ option and that they are unsuitable for even the wildcard. I only hope that the boards of the Young Vic and other theatres, who may be in a position of appointing a new artistic director for their organisations, will be savvy, open-minded and bold enough to look past these lists of seemingly ‘safe choices’ to create a more refreshing, contemporary and inclusive talent pool of potential successors.